That’s quite a lot of cabbage recipes that I am doing lately. But indeed the one I had to buy for the borsch was really big, and it was a good opportunity to search good and original ways to cook the cabbage. 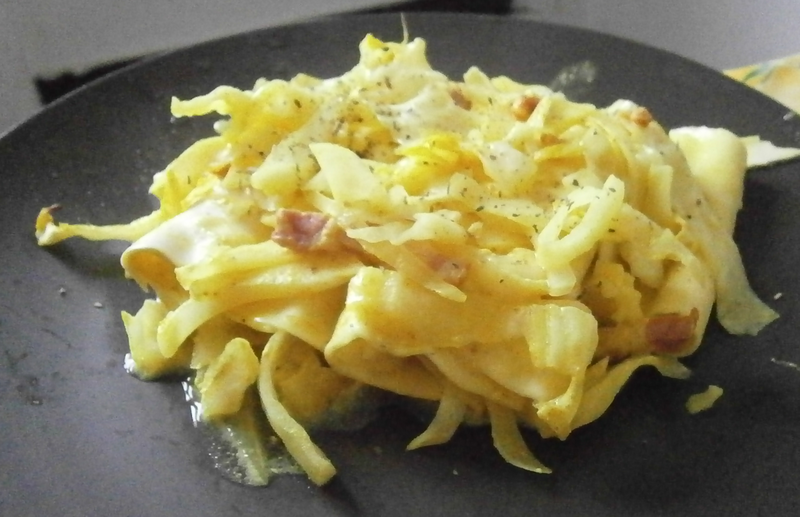 We had enough soup for now, so we will now see the result of the union between cabbage and pasta. 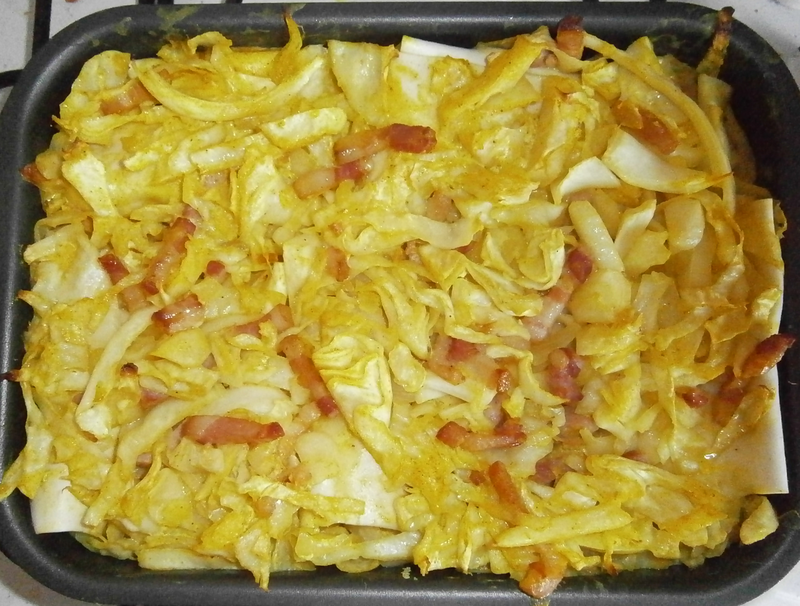 Cut the cabbage in fine strips (get rid of the heart). Chop the onion and brown it in a saucepan with the lardons (to prevent the lardons from producing too much fat, cook them before 5 min in boiling water. That way they are much better looking.). 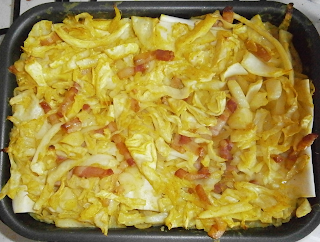 Then, add the cabbage, the wine, the crème fraîche, the spices, salt and pepper. Stir. Let it simmer 5-10 min. Meanwhile, cook the lasagne in boiling water: put them 2 by 2 in the saucepan so that they don’t stick together, then place them on a cloth and stuff them with the cabbage mixture. Place the stuffed cannelloni in a gratin dish, baste with the stock. As I had some cabbage left, I put it over the cannelloni. Put in the oven and bake for 30 min. Note that I found it better the next day, because the spices had had time to perfume the cabbage.